Discussion in 'Vegetables, Salads and Mushrooms' started by morning glory, Apr 16, 2019 at 1:50 PM. I'd not come across this until now - but its a revelation. Its really delicious. Some say that the taste is like parsnips mixed with carrots and it certainly looks almost identical to parsnip. To me it is much more perfumed and tastes of parsnip with a hint of carrot and Jerusalem artichokes. Its lovely grated in salads or made into a puree. I think it may be more well known in the USA? Has anyone else tried it? I like parsnips so I can't really say if you will like these @MrsDangermouse - be interesting to see what you think. When do they get harvested? When do they get harvested? Supposedly they can be harvested in late summer/autumn, though you can leave them in the ground over winter and just harvest them as and when you need them. 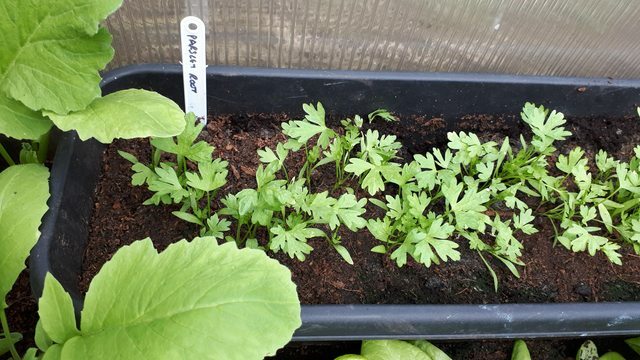 So the parsley it sprouts is the flat leaved type?